﻿ Amrap's AirIt | Australian Music Radio Airplay Project :: Folk :: Rhyen - What Are You Doing With Your Life? Amrap's AirIt | Australian Music Radio Airplay Project :: Folk :: Rhyen - What Are You Doing With Your Life? 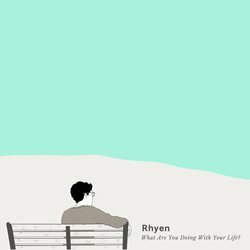 Rhyen is a bedroom based singer songwriter with dreams of performing outside his bedroom. Woven through delicate guitar work, his lyrics speak honestly about growing up and the anxieties that come along with it. His debut EP 'Tomorrow Things Will be Alright' is set to release in 2018. Part of growing up is realising that you have no idea what you're doing. And that's ok.
Taken From The Release Titled What Are You Doing With Your Life?